I go a little crazy over the holidays! Let’s just come clean. I am not satisfied until every corner of the house has somehow been touched by the season and it might look a bit crazy when I’m all done. Like the North Pole on steriods. Ok, maybe not that crazy. I don’t have a lot of wall space in my dining room. Only one wall to work with and that’s not a lot! So, I like to take advantage of that small area as much as possible! 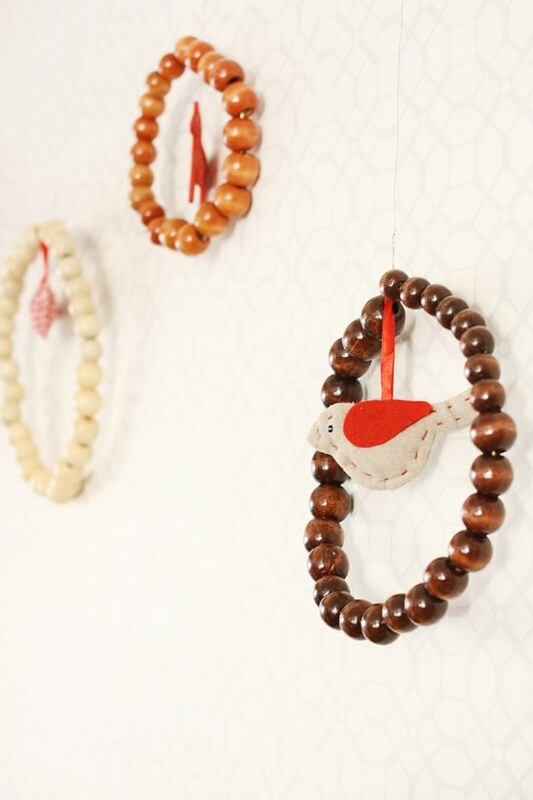 This year, I created three little hanging wall ornaments to help give that wall some more of a Christmas vibe! 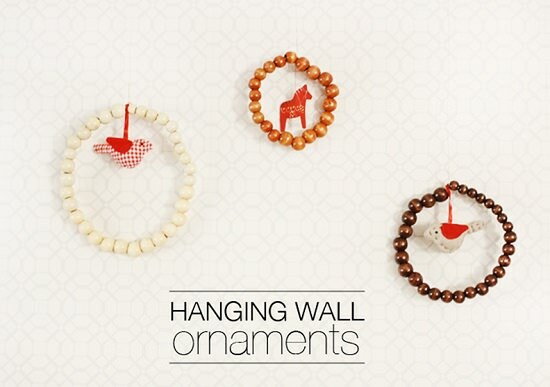 You’ll need beads in three colors: natural, walnut and espresso wood. I placed them on thin wire and shaped them into rings. One small, one medium and one large. I then hung swedish inspired ornaments in the center of each ring. I simply hung them at varying lengths and you’re done! 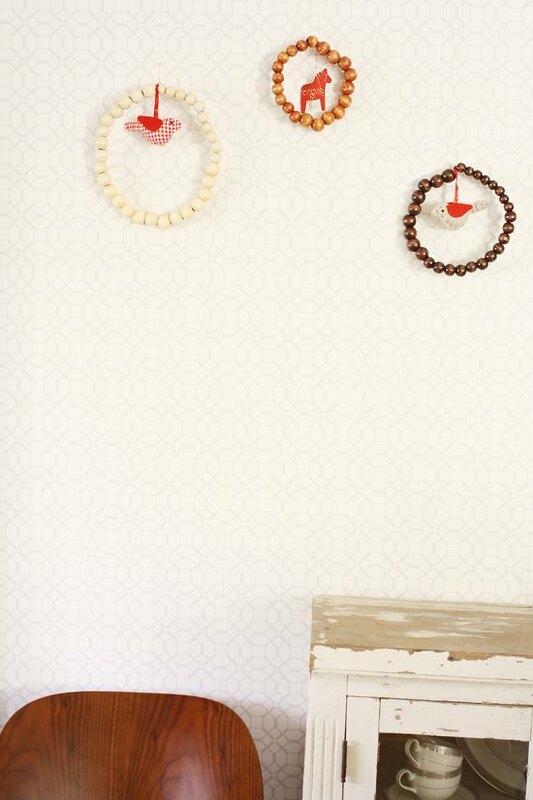 The simplicity of this DIY is great, it doesn’t jump off the walls in a loud way and is nice and subtle. Every year I can change up the ornaments in the center or keep them as is. You could even play around with the colors of the beads! Something bright would be a lot of fun too! Hope you are having just as much fun as I am getting ready for the Christmas season! Do you have your tree up yet? !